Tuttnauer pharmaceutical autoclaves are designed and manufactured in a state of the art facility in compliance with cGMP regulations to meet the technical challenges of pharma and biotech industries. 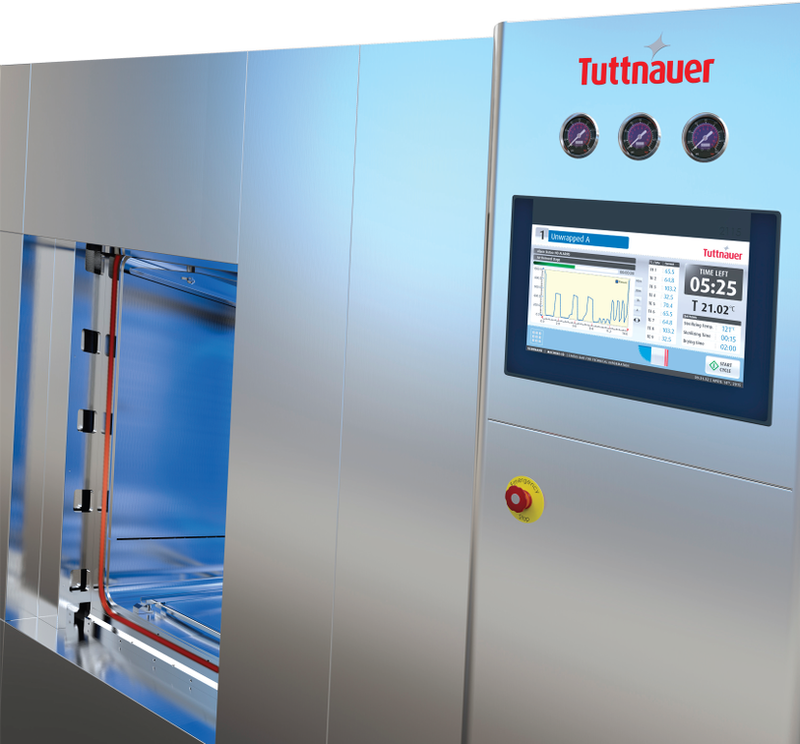 Tuttnauer autoclaves provide precise control and reliable sterile processing and pasteurization. Tuttnauer provides high quality & safe autoclaves made from reliable long lasting components, and designed to conform to end-user requirements (URS) for production and quality assurance processes. Tuttnauer autoclaves are customized to meet customer requirements for the pharma industry. Tuttnauer is a leading manufacturer of infection control solutions for the Life Science industry with decades of experience and 350,000 installations worldwide including Pharma Facilities, Research Institutes, Laboratories, Hospitals & Clinics. Tuttnauer manufacturers autoclaves made from long lasting materials and reliable components, supported with expert after-sales technical service to satisfy customer expectations. Tuttnauer’s manufacturing process and equipment are constantly updated to be at the forefront of modern automated manufacturing. To ensure uniform manufacturing results and precision-made sterilization equipment Tuttnauer uses high-tech industrial processes including laser cutting, robotic bending, robotic polishing, and automated welding. Our customers receive autoclaves that are robust, reliable and provide precise and consistent results. Tuttnauer autoclaves are equipped with robust ASME and PED compliant chambers as large as 17,000 liters. Customers often require custom chamber sizes and Tuttnauer’s wide range of chamber configurations provide precisely what is needed without compromising chamber design quality and surface finish. The advanced user-friendly Allen-Bradley control system gives the operator precise and realible control of all autoclave operations. The PLC features sophisticated custom cycles, cycle simulation, detailed cycle data recording, file transfer ability, and connections to SCADA and WiFi devices. The PLC is 21 CFR part 11 validated. We provide our customers with full documentation from the initial user specification (URS) to installation and SAT validation. Thorough testing and QA ensures that we supply top-quality autoclaves that meet the customer’s specifications. Tuttnauer uses top-quality standardized industry components from leading manufacturer’s available worldwide. Customers have the opportunity to source parts from local suppliers which saves time and lowers operational costs. Tuttnauer is also committed to supplying parts and supporting our customers. The combination of automated precision manufacturing, adherence to cGMP regulations, quality components and sophisticated cycle control ensures that your loads will be reliably and consistently sterilized with every cycle.